Freestanding or detached decks are those decks that do not rely on any weight support from your house. They are built on the ground, detached from your home. Pros: Since they don’t rely on weight support from your house structure, they are safer to build and have less risk of collapsing. Cons: They may be more expensive than the other types. 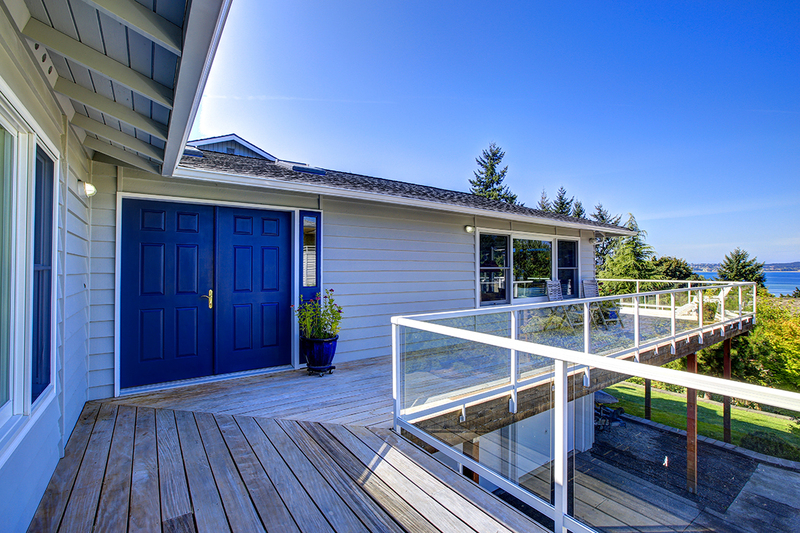 Attached decks are those that are attached to your house and somewhat rely on your house for weight support. Pros: They are usually cheaper to make and often more aesthetically pleasing to look at because they are attached to the house. Cons: They rely on weight support from your house which might be risky of not properly installed. These type of decks are the ones that go all the way around a house. They are sort of a subcategory of the attached decks section since they can’t be built as freestanding or detached. Pros: They are probably the most beautiful of the bunch creating a 360 degree balcony look to your house. Since they are built along with the house, it is less risky. Cons: It might be a bit of a hassle to build these once you’ve already finished building your house. After you have decided which type of deck you want, or even if you haven’t because you want discuss with a pro before you decide, give MTB Carpentry and Construction a call. Our team will be more than happy to help you out with whatever you need!